This is the heart-warming moment two child caregivers see a playground for the first time ever. When Luise Dube, 13, and Menelisi Ntini, 12, first set their eyes on the slides and trampolines in Pretoria, South Africa, they couldn’t believe their luck. Having lived in the poverty-stricken Matabeleland province of Zimbabwe the two kids burst into uncontrollable laughter as they bounce up and down. As wide smiles are plastered across their faces, the gobsmacked pair revel in sliding down thanks to the charity work of Positive Afritude. 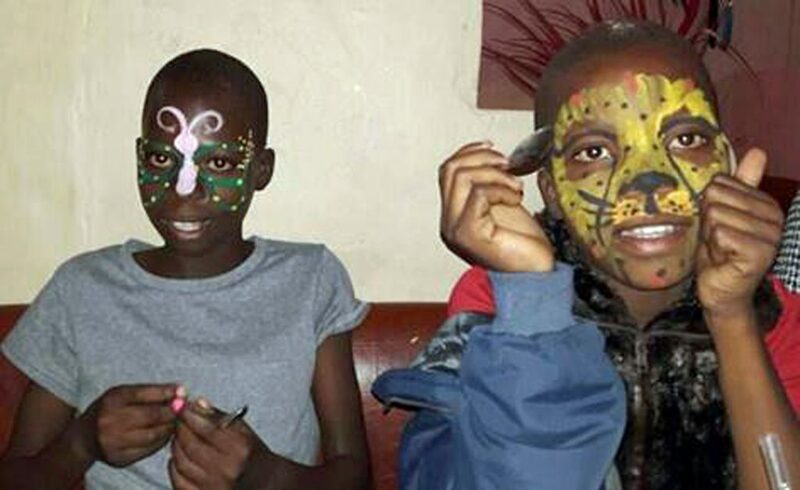 Mari-Anne Chiromo, founder of Positive Afritude, said: “Luise and Menelisi have never had the chance to just be kids, given their carer responsibilities and the hardship they’ve been born into. “They’d never left their village so would never have even known of the existence of facilities just to play. “It’s a luxury they have never experienced. Luise assumes the role of caring for her sick mother and three siblings after they lost their father a few years ago effectively heading of the household in addition to going to school. Menelisi and his three siblings lives with their 67-year-old grandmother as his father passed away and his mother is also very sick. Zimbabwean Mari-Anne set up Positive Afritude when she was on maternity leave to help support work that challenges perceptions of African and its people. Mari-Anne said: “They are perceptions borne of the very restricted mainstream portrayals of Africa. “The fact that people marvel at my command of English for example, is testament to the massive chasm between understanding of just what Africans are and can be.